I’ve been playing with Pushbullet now for a little under a week. This newcomer has really impressed me by adding utility and saving me footsteps. Here’s a peek at what it does and how it’s making my life simpler. It’s good to remember Pushbullet is in beta, and as such new things may be added and things might not work 100%. That said, I’ve experienced no issues in my use. 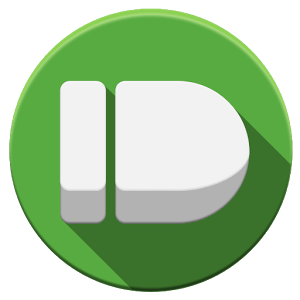 Pushbullet is a combination of an Android app, a Chrome browser plugin and a service. It allows you to push files, URLs, pictures, notes and other things between your phone and browser. You can even push things to other users if you know their email. To get started, go to pushbullet.com and sign up for an account. Download the software on your phone and browser and you’re ready to start pushing. 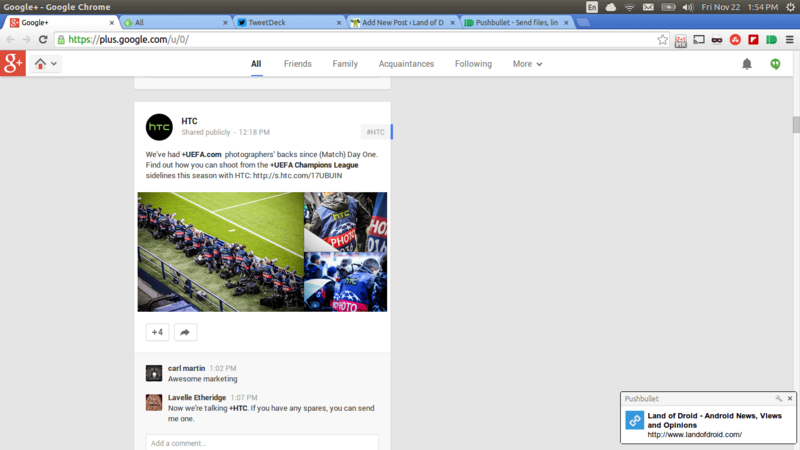 On Chrome, open the PB extension on a webpage or picture you would like to send to your phone or a friend. Select where you’re pushing it to and click the Push it! button. On Android this is accomplished using the share menu. Select Push This from the menu, select who or where it’s going and you’re all set. Notifications are handled in Android the same way as any other app. On chrome, you will receive a pop up letting you know you have a push. Click on your notification to view the content, or dismiss it and act later. 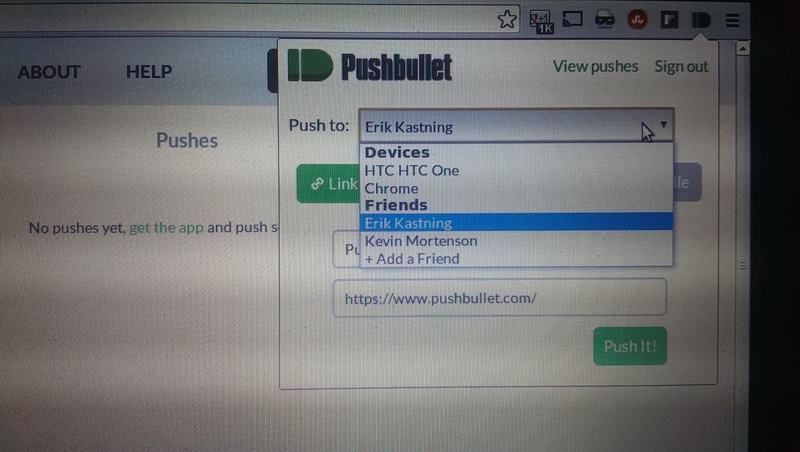 Your pushes are viewable on the Pushbullet website for later use. The coolest use for this service in my opinion is the ability to view any notifications your phone gives you on the desktop. Most of the time at home I’m not around my phone. Having little cards pop up with my phone notifications saves me running to my handset to see if something important is happening. This is also useful if you are on a call and receive notifications that you wouldn’t see or hear during the conversation. 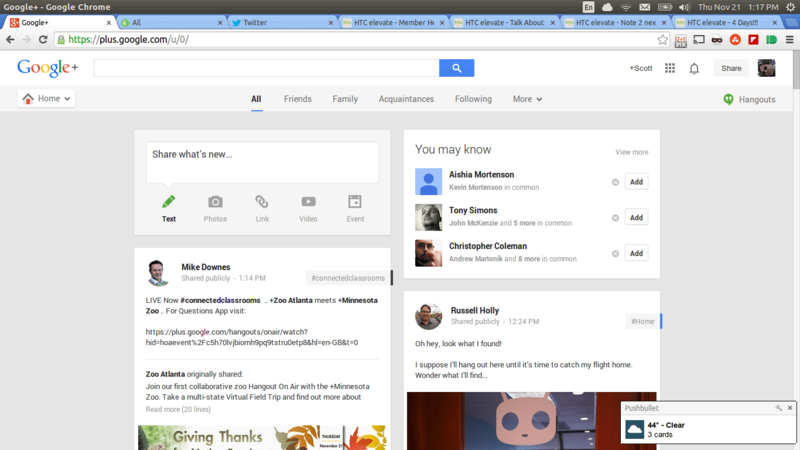 Notifications on the desktop are simply awesome for Google Voice users. Pushbullet will alert you to your new text messages via these pop up cards. Users can then use the Voice website to read and respond to the texts without running for the phone. When this service comes out of beta, I’ll be doing a full on review. Until then, I cannot wait to see what comes down the pipes. Hop over to their website and give Pushbullet a try.